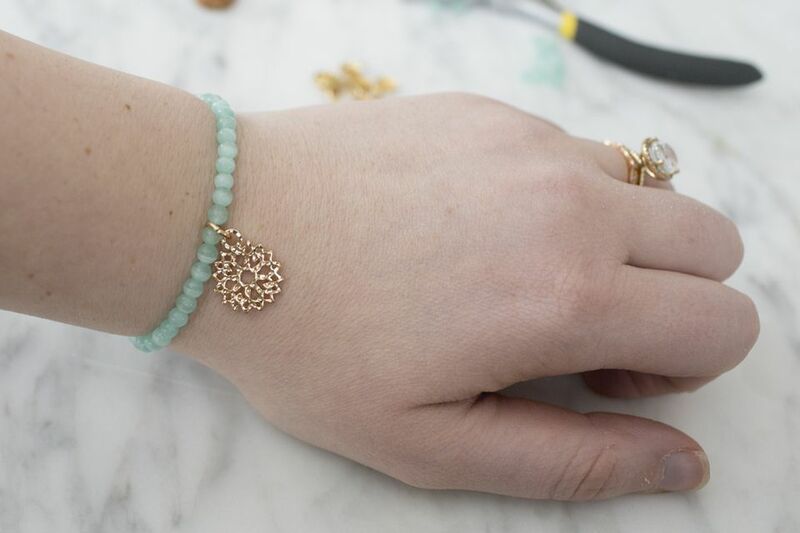 One of the most fun DIY projects you can take on, is making your own jewelry. It's the best project because you get to wear your final product! Plus, once you have the right supplies at your disposal, it's so easy to do at any time. The real stars of the show are the beads and charms you choose. While it might be tempting to go with multicolor beads, we've found that the best results come from a uniform color. But go with whatever hues and patterns work best with your wardrobe. The most important thing you need when you're making your own jewelry is the right beads and charms. Most craft and hobby stores stock an impressive collection of stones and beads, and some retailers' collections of small charms have expanded, too. Choose your colors and charms carefully and make sure they'll work well with pieces you have already. Charms can be really fun because different symbols may have a special meaning. Using your wrist as a guide, figure out how much elastic cording you're going to need. Err on the side of more than less because you can always cut off the excess but you can't add more! To start the bracelet, double knot a plain gold ring on the end of your cording. Secure the knot with a little bit of glue. Let the glue dry completely before the next step. This next step is the easiest but also the most satisfying. You're going to string your beads on. 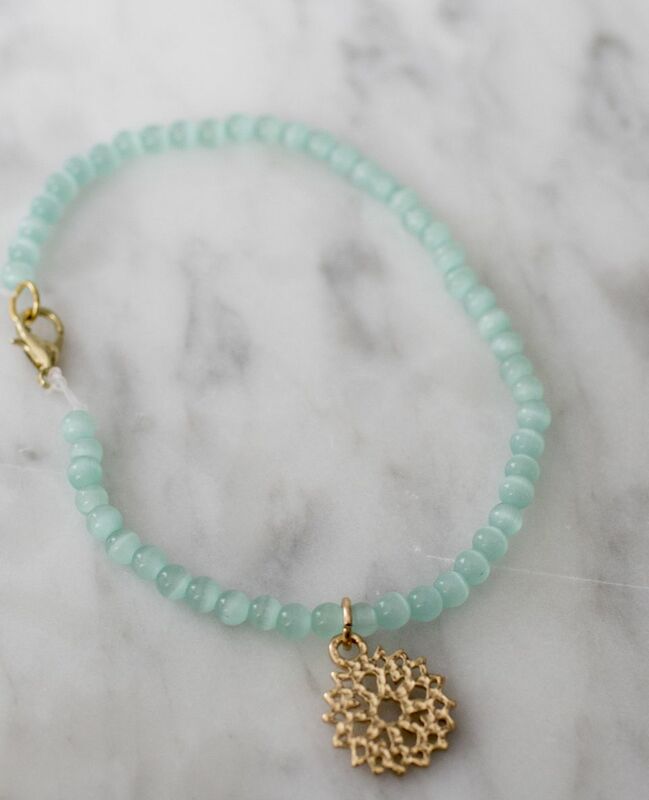 We love these simple blue beads that we chose—they're not too tiny. The bigger the beads, the less you'll need. Take your time as you string the beads on and check in on the length every so often by holding it up to your wrist. About three quarters of the way through the beading process, you can add a charm like we did here. Or, if you want, you can add more than one as you go—it's really your preference. Because of the size of the beads we used, we didn't need any sort of spacers to keep the charm in place. Finish your bracelet off with more beads so it's long enough to fit around your wrist. Tie on and secure your clasp with a double knot and some glue. How easy was that? Now that you have the supplies, don't be surprised when you end up with a whole collection of these beautiful pieces. Or, if you're feeling generous, you can give away some of these as gifts to your best friends or family. Experiment with different styles, multi-strands, or even a necklace. Now that you've mastered these basic skills, you'll be amazed at how well they translate to other jewelry making projects. Happy crafting!